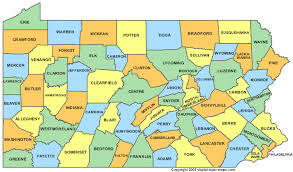 Are you planning to run for office in Pennsylvania during 2014? Are you aware of the changes in the petition process? To find out more click here. Currently in Pennsylvania, elections to fill vacancies on the courts are held in odd-numbered years. Appellate court and common pleas court candidates run in partisan elections (i.e., under a party label) for terms of ten years; minor court candidates also run in partisan elections, but for six year terms. Typically, the major political parties endorse candidates to run. For trial judges only, a candidate may receive the endorsement of both parties. Following completion of a term, a judge can stand for successive ten-year terms in retention elections (non-partisan, uncontested yes/no votes) up until mandatory retirement at the age of seventy. Like other candidates who run for office in contested elections, judicial candidates must raise money to finance their campaigns. Typically, contributors to such campaigns are the very parties, litigants and lawyers who ultimately appear before the courts on which the candidates are seeking to serve. Additionally, third party special interest groups have become increasingly active in judicial elections, funding advertising campaigns and making contributions to candidates. Rules of conduct do not require judges to recuse themselves in cases involving campaign contributors. Who may run for judicial office in Pennsylvania? Judicial candidates are not required to have tried any cases or even actually practiced law at all, let alone for any minimum number of years. How long are judges elected for? Most judges are elected for ten year terms. This is true for elections to fill judicial vacancies, as well as for subsequent retention elections. However, municipal court and traffic judges in Philadelphia serve six year terms. What is a retention election? Retention elections are non-partisan, uncontested yes-no votes. This differs from an election to fill a judicial vacancy where candidates run in partisan elections (i.e. under a party label.) Following completion of an initial term, a judge can stand for successive ten-year terms in retention elections until he or she reaches age 70, the mandatory retirement age. What happens if there is a vacancy created mid-term? In the event a vacancy is created by the retirement, resignation, death or election of a judge to a higher court, an interim vacancy is created. The vacancy is filled by nomination by the Governor and confirmation by a two-thirds vote of the state Senate. Typically, for appellate court interim vacancies, the nominee’s confirmation is conditioned on a promise that he or she will not run in the succeeding election to fill the vacancy. Who are current judges and justices on the Pennsylvania courts? To view PMC’s charts on the current composition of the Supreme Court, click here, and on the Superior and Commenwealth Courts, click here. Holding Congress accountable is tough work, and it can seem even more daunting when you’re tackling the task alone. Whether you are new to the fight or a seasoned activist, the Sentinel Skills Clinic will help you better engage Congress and have your voice heard. Join fellow Pennsylvania conservatives as we share the tools to take meaningful action at this crucial time in our country’s history. We’re asking $5 to cover a pizza dinner at the door. for your local clinic today and bring your friends! We would like to personally invite you to become a member of the SUN Area Council of Republican Women. We have been doing exciting things to help elect Republican Candidates well as inform our community about candidates running for office and legislative issues. Our next meeting will held in Northumberland County on Thursday, February 7th meeting at the Old “Y”, 325 Market Street, Sunbury at 6:30pm. We thank the Servanos for their generosity in allowing us to use their space. Our meeting topic will laying the groundwork on the importance of this year’s school board elections and how the school boards affect our lives, especially through their taxation powers. Presenting the topic will be Ben Ranck who brings a wealth of information to the subject. We will also be installing our new leadership for 2013-2014. At our January meeting we invited Matt Wagner who spoke on Right to Work. I think you’ll agree that creating and sustaining jobs in Pennsylvania and the USA is a very important issue. It was a very informative meeting. will invest your money in activities that promote Republican principles. The cost is $5.00 to join the National Federation of Republican Women, the PA Federation of Republican Women and SUN Area Council of Republican Women. Think about it, that’s only five cups of coffee a week and the benefits are tremendous. Did you know that 30% of Evangelicals are not registered to vote? Or that approximately 65% of all church-goers are unregistered or rarely cast a ballot? I am working with PA Family Council to implement a GOTV program aimed at turning out values voters on November 6th. We will be organizing phone banks and canvassing efforts throughout Pennsylvania. Please consider volunteering to advance this effort. We will be using cutting edge technology to maximize our time and energy. Please share the attached flyer with your friends and families. Will you help make a difference? No matter how much free time you have there are ways for you to significantly impact voter turnout on Election Day. If you’ve never be involved before, now is the time. All training is provided. Join us to inform voters of candidate differences for President and U.S. Senate. Help us identify voters who will elect candidates who value life, traditional marriage and religious freedom. Come help, have some fun and meet new people all while making a difference for our country, communities, and families. Do you know anyone who will be 18 years of age on or before April 24th, 2012 (Primary Election Day) and is not registered to vote? Do you know someone who has recently moved to the area and has not changed their address with the voter registration office? 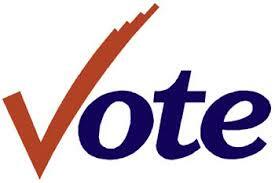 Do you know someone who wishes to change party in order to vote for a candidate in this primary election? Do you know someone who has changed their name and needs to make a correction in their voter registration? All of the above mentioned can be taken care of on the voter registration form. All changes for this Primary Election need to be changed by Monday, April 26, 2012.